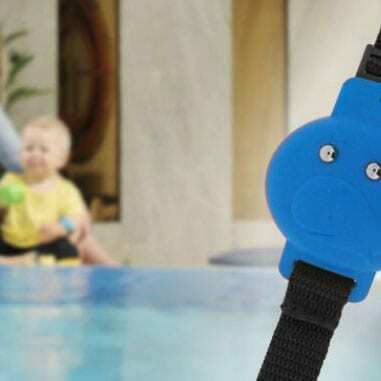 The blue water alarm bracelet or sensor is tied around your child’s wrist and the base station triggers an alarm immediately upon contact with water. The green water alarm bracelet needs a base station – please first buy the “Water Alarm Set” – and if you need another alarm band for your toddler or pet, then order the bracelet individually. Up to 3 alarm bracelets can be connected to the base station.